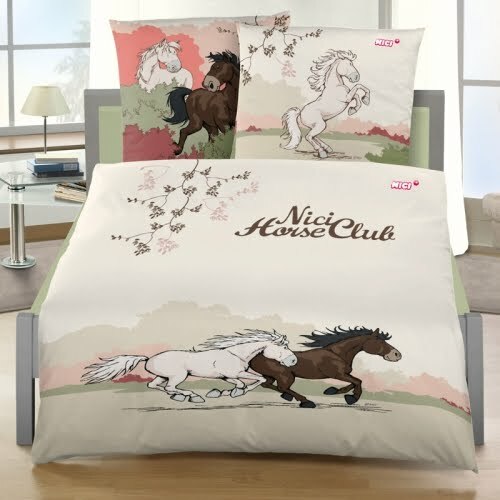 NICI Bed Linen! We were browsing through NICI shop and stumbled upon these NICI bed linen that they are selling recently. If you're a NICI plush lover like us, you'd definitely seen this before, so we're actually sharing these beautiful bed linens with some of our very supportive family and friends reading this blog. Not a big fan of the Jolly Lovely sheep plush but we love this gorgeous violet Jolly Lovely bed linen! 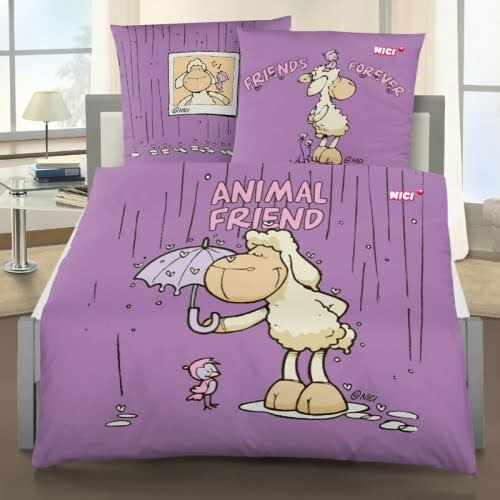 Jolly Mah animal friends NICI bed linen. They all come with a matching pair of pillow case. We love this design too but why is the pillow case square in shape? 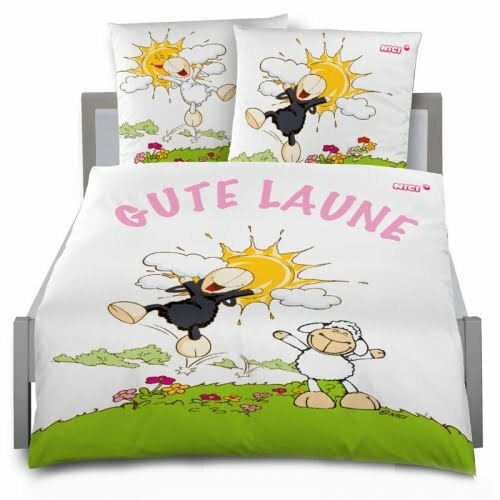 Jolly Mah Gute Laune NICI bed linen. This is beautiful too! We know gute in German means good, so we google translate Laune and it means mood. Now that we look at the design, Jolly Mah really looks like in a good mood, it was pretty self explanatory. Another My Lovely Bear NICI bed linen? You can surely tell we are not a big fan of these NICI bear soft toys. and another! Are these NICI bears so popular? 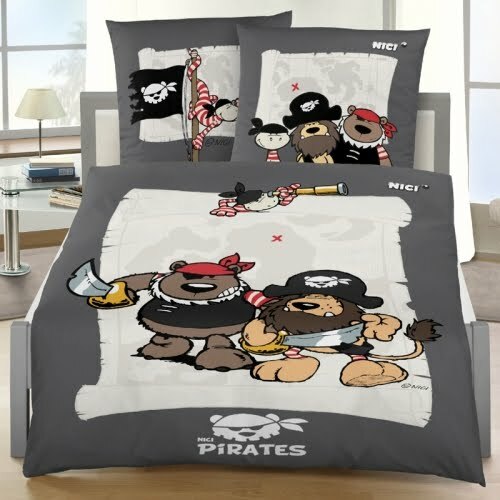 NICI Pirates bed linen! This is very very nice, we love it. The color is beautiful ♥♥ I wonder if the NICI store in Malaysia or the NICI retailers CNS Singapore would bring this in. NICI Dino bed linen is super adorable, love the color theme. Very suitable for kids! What happened to Milo Gorilla, Rob Raccoon these two popular NICI soft toys? They're beautiful, I love to have one. Look very nice, I love the first two and the pirates. wow they are lovely. They must be very expensive. They look so lovely... Specially those of Jolly Mäh, the colours are fabulous! OMG its so pretty =) Goshhh... I want one!!! is it possible that you know a site to purchase them internationaly? or where i can fin more info? I love the Liselle one and the bear ones Nice one Hugo!! Do they sell in Malaysia? I wish to have the Jolly Lovely one....! Um... Is the cream coloured bear the minily bear I've been talking about? Hi Christelle, you can have a look at the prices from the NICI official web shop. The current Ringgit to Euro exchange rate is about 4. The cheapest bed linen easily cost RM120.